Jack passed away peacefully on June 22nd, 2018 at the age of 77. Jack was born in 1941 in Newport Rhode Island to Margaret and Clarence LaDucer. Jack lost his father at age 11. The family moved to Downing CA. when Jack was 16. He helped with the driving of a new 1957 Chevy across country. He went to Downing High School where he met and married Patricia Bodie. They had two sons, Todd and Scott LaDucer who both live in Marshalltown, Iowa. Jack later married Jeanette Carter and helped raise Dondi Silver, Gene Jr. (Bubba) Lovett and Dustin Lovett. Jack was so proud of all his kids. They were extremely important to him and he loved them all dearly. He was also a father -figure to many young people he met along the way, and helped to guide them in the right direction. He married Carol Dome in 1998 and they moved to Winters, CA in 2001. He loved living in the small quaint community. Jack worked in the refinery industry for over 45 years. He just retired (for the 3rd time) but continued consulting on projects that required his unique knowledge and expertise. He loved his work and the people he worked with. Even in retirement, he maintained close contact with many colleagues who had changed jobs, or relocated. Many of his professional colleagues were also close personal friends. Jack was a man of integrity and honesty. He respected and valued those same qualities in others. He used his knowledge and experience to mentor many along the way. His passion was golf. He truly loved the 2 groups of friends that he played with weekly. He also was an adventurer and loved to travel. His travels took him to Australia, Bali, Hawaii, the East Coast, and on a six week road trip up and down the West coast visiting friends all along the way. He an avid bicyclist that finished many Century and one Double Century bike runs with friends and family. Jack was quick- witted… always with a twinkle in his eye, and he always had a story to tell. He was the consummate Irishman who knew life was a journey and lived it every day. He was generous and kind-hearted. His life was full of joy and enthusiasm that he shared with everyone he met. We have been blessed to have known him. He will be dearly missed! 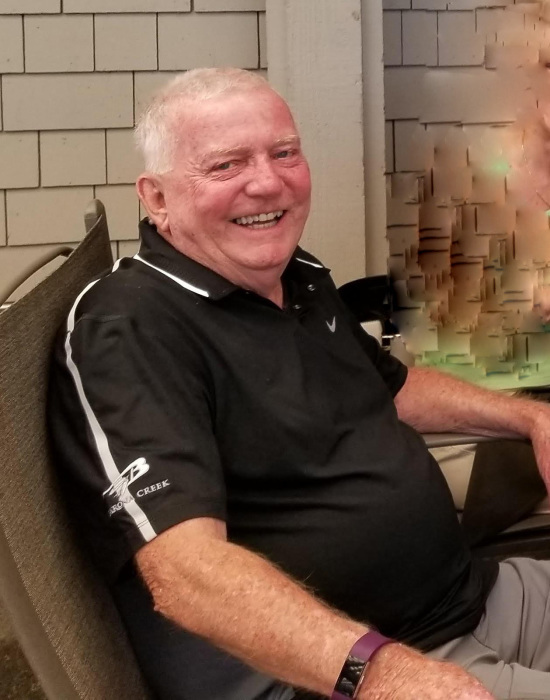 Jack is survived by his loving wife Carol Dome of Winters, CA., his brother Dennis LaDucer of San Clemente, CA., his five children and 5 grandchildren. Jack was preceded in death by his sister Janice Burton. Services will be held at St. Anthony’s Catholic Church at 511 Main Street in Winters, CA. at 1:00 pm on Friday July 13th, 2018. Reception to following at Winters Community Hall at 201 Railroad Ave, Winters. In Lieu of flowers you can make a contribution to SPCA of Sacramento, 6201 Florin Perkins Road, Sacramento, CA 95828-1095 or to Loaves and Fishes, P.O. Box 13495, Sacramento, CA 95813-3495. Smith Funeral Home of Winters is handling the arrangements.